A generous donation from St. Andrew’s Presbyterian Church in Lindsay is helping support music therapy programs at Frost Manor. The church’s planning committee every year donates proceeds from its Living Christmas Tree cantata and celebration – an event Frost Manor residents attend each holiday season – to several community organizations, and this year the committee chose to donate to $1,172.70 to the home. The donation, says Frost Manor life enrichment co-ordinator Lyndsay Burton, will make a positive difference to residents as there are many benefits to music therapy. “Music is an effective method of opening up a senior’s world and has healing powers for our residents, those in palliative care and those with dementia,” she tells The OMNIway. 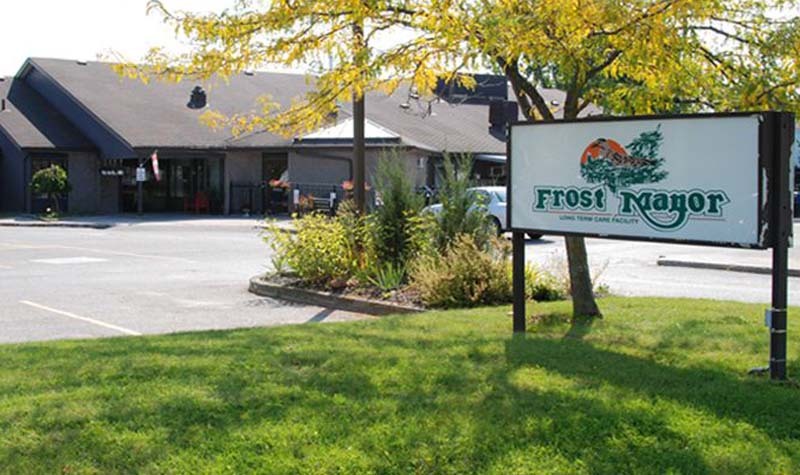 “The residents of Frost Manor have found great benefit by using music therapy in most everything we do. From playing music aloud during mealtimes, to singing during care, to helping to reach their goals in physiotherapy. We use music in all forms to lift the spirits of our residents and spread joy daily. Lyndsay adds that residents have chosen to use the funding to pay specifically for interactive music therapy programs. Their first music therapy session will be a drumming circle on Feb. 4.